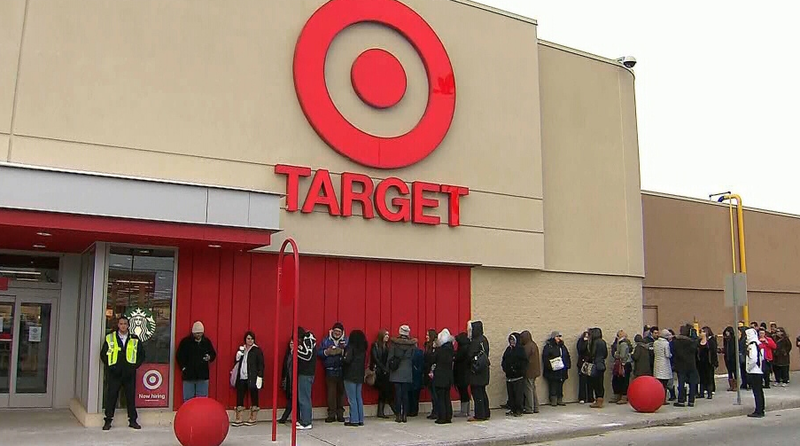 The perhaps not so surprising closure of all 133 of Target’s store locations felt like a swift uppercut into the face of Canadian retail. The American giant was beset with a series of difficulties almost as soon as it opened. The consensus on one of the main issues that besieged the brand was the lack of inventory for their Canadian locations and higher prices than the competition domestically. They also didn’t run an e-commerce site to promote revenue and operated stores in former Zellers locations that often looked much like the ones of the faltering Canadian chain it replaced. Business analysts also cited a lack of understanding the Canadian retail market and a failure to recreate the shopping experience that many Canadians went into the United States for. Target has a tremendous appreciation of their brand in the U.S., and that just wasn’t translated to the Canadian side of the business. A tricky situation when you’re a retail institution. In short – an arrogance of sorts – assumed that because the brand is so iconic and successful in the United States, it would have just translated into a successful operation in Canada. It certainly looked that way in the beginning, but people weren’t returning after shopping trips. 17,000 layoffs later, an over 7 billion dollar investment into the great white north ends up going south figuratively and literally. What can small business learn from such a fall from grace? A few things…. 1. First and foremost, don’t assume. Just because you might be successful in one market, it doesn’t mean you can recreate that in another – no matter how iconic your brand or business is and no matter how good your idea is. Assumption can be the main ingredient in any business failure. Approach each step to growing your business with a reminder that you can fail. Growing too fast and too aggressively can also increase the likelihood of things not working out. For small business – being conservative in your expectations is an essential. Analyze scenarios and determine a minimum viability. Determine a failure scenario. Obsessively look at and study every potential reality, competitor, and market condition. Create a plan of action for each. Growing gradually and thriving is better than growing rapidly and trying to survive. 2. Be committed to your product, service, and the overall experience. Ensure that what you’re selling is readily available and make sure the price and the service are competitive, outstanding, and distinctive. Whether you’re selling widgets or cutting hair, if customers perceive a high degree of value in coming to you, and they come and go happy – you’re doing it right. This can include, but is not limited to, being committed to how you market your products or services as well. Be committed to a good web experience for your business. Be committed to a good social media marketing presence. Ensure what you’re marketing and what you’re selling is matching up. 3. Be adaptive and prepared to react. If things aren’t working out in line with your expectations, don’t wait. Change something as quickly as you can. If customers are providing feedback to you about what they’d like to see different – treat it preciously, respond to that feedback, and adjust what you need to to create number 2. Questions? Comments? What do you think of Target closing down their Canadian operation? Contact us or request a consultation. This entry was posted in Entrepreneurship, Ottawa Bookkeeper, Ottawa Bookkeeping, Small Business Canada, Uncategorized and tagged bookkeeping ottawa, ottawa bookkeeper, ottawa bookkeeping service, target canada. Bookmark the permalink.